Signoria reinvented the classic embroidered lines in the Casale collection that presents five embroidered lines in different widths and shades of colors on plain soft fabric. Elegance and simplicity are the main characteristics of this pattern that highlights the perfect craftsmanship of Signoria’s creations. The Casale pillowcases are made of long-staple Egyptian cotton 400 t.c. 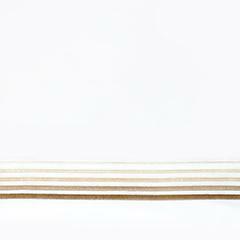 percale and they are completely Made in Italy. Signoria reinvented the classic embroidered lines in the Casale collection that presents five embroidered lines in different widths and shades of colors on plain soft fabric. Elegance and simplicity are the main characteristics of this pattern that highlights the perfect craftsmanship of Signoria’s creations. 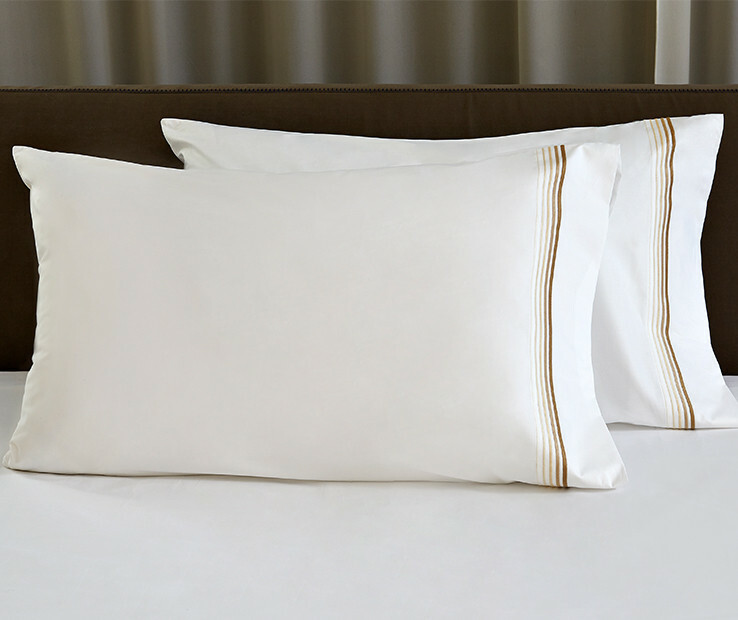 The Casale pillowcases are made of long-staple Egyptian cotton 400 t.c. 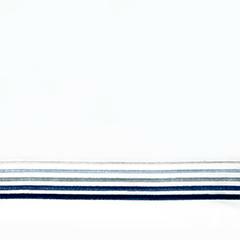 percale and they are completely Made in Italy. Available in Standard and King sizes. The set includes two pillowcases. Signoria reinvented the classic embroidered lines in the Casale collection that presents five embroidered lines in different widths and shades of colors on plain soft fabric. Elegance and simplicity are the main characteristics of this pattern that highlights the perfect craftsmanship of Signoria’s creations. 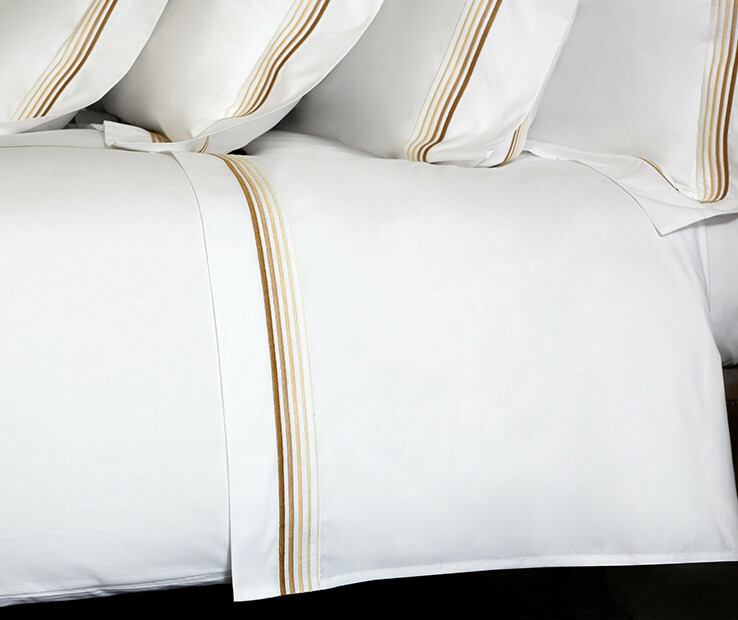 The Casale flat sheet is made with long-staple Egyptian cotton 400 t.c. 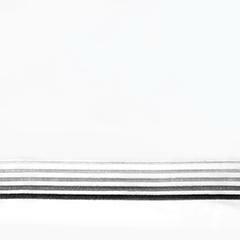 percale and it is completely Made in Italy. Available in Twin, Queen and King sizes. Signoria reinvented the classic embroidered lines in the Casale collection that presents five embroidered lines in different widths and shades of colors on plain soft fabric. Elegance and simplicity are the main characteristics of this pattern that highlights the perfect craftsmanship of Signoria’s creations. 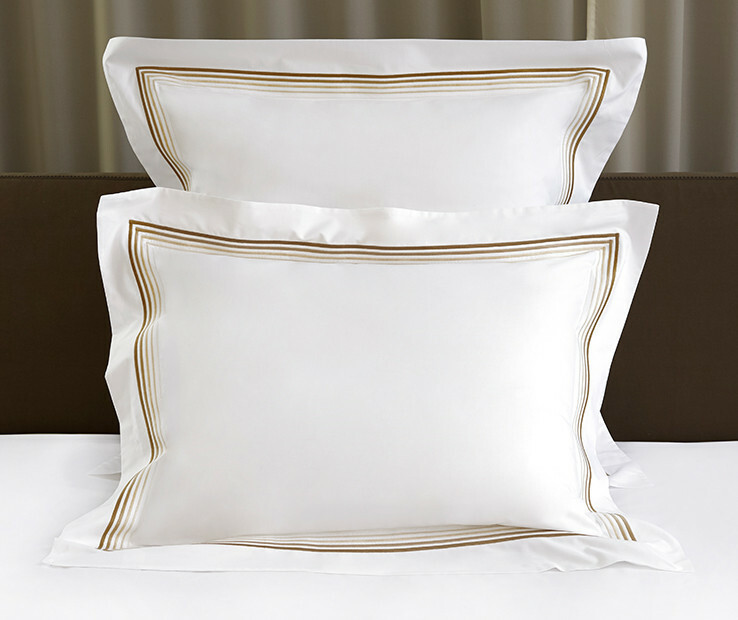 The Casale sham is made with long-staple Egyptian cotton 400 t.c. percale and it is completely Made in Italy. Available in Standard, Euro and King sizes. Signoria reinvented the classic embroidered lines in the Casale collection that presents five embroidered lines in different widths and shades of colors on plain soft fabric. Elegance and simplicity are the main characteristics of this pattern that highlights the perfect craftsmanship of Signoria’s creations. 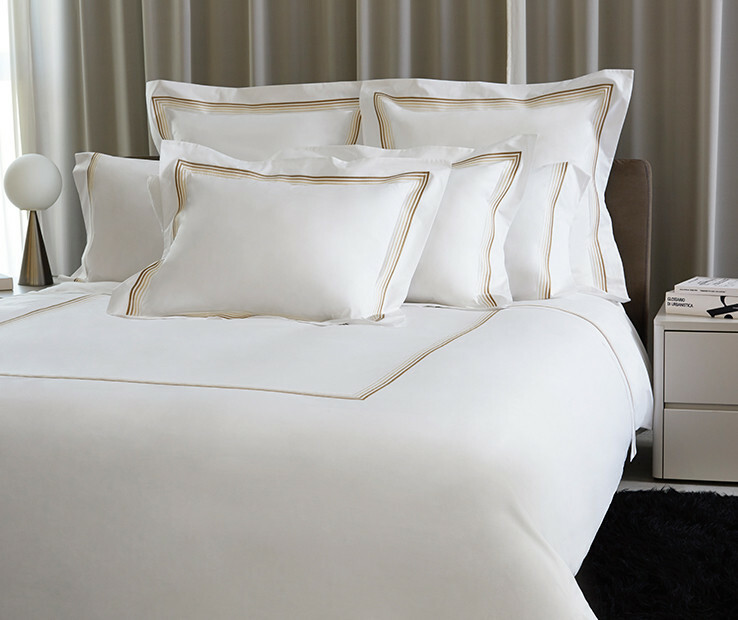 The Casale duvet cover is made of long-staple Egyptian cotton 400 t.c. percale and it is completely Made in Italy. Available in Twin, Queen and King sizes.